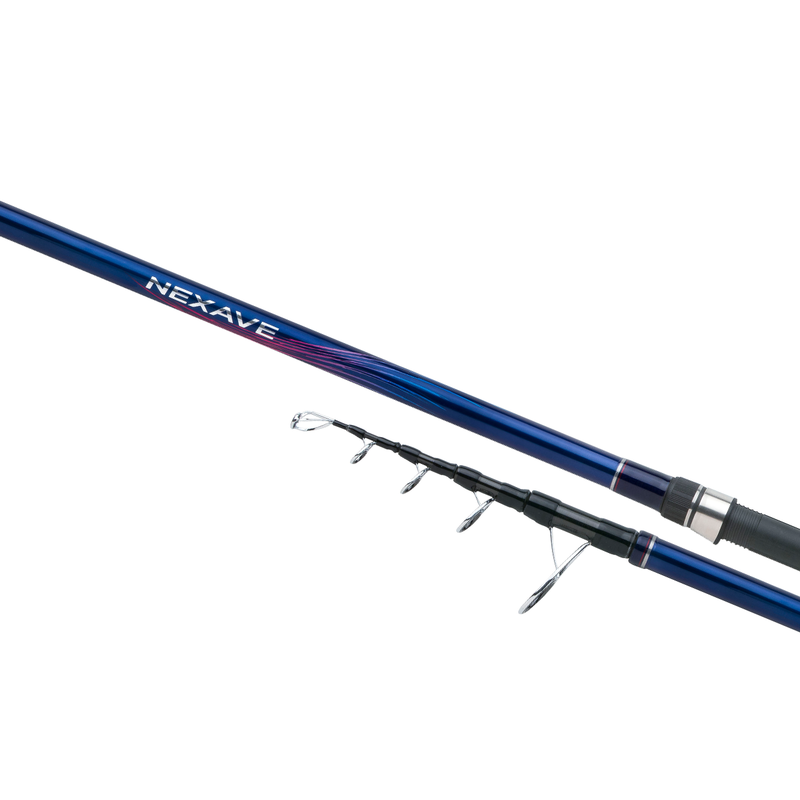 The new Nexave Surf TEGT is improved on blank construction and looks, making it a perfect tele surf rod in the low-mid price range. The series contain 6 models with different casting powers for different distances and lead weights. These rods have a short transport length and that makes them easy to handle. That's an advantage when the angler wants to fish multiple spots on a day. They are used for shore fishing and surf casting with light / medium weight lead weights for all kinds of (small) sea fish.